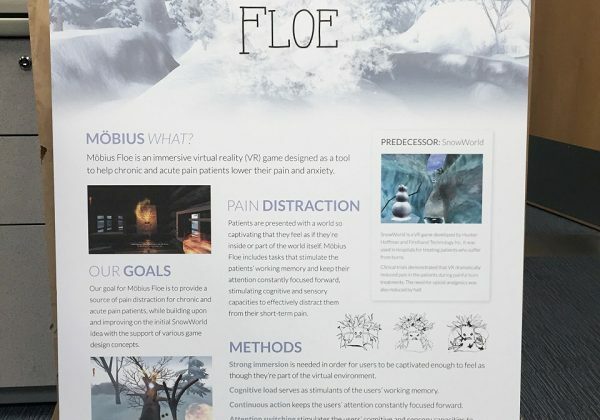 An informational poster created for SFU Pain Studies Lab's VR game Möbius Floe, to be presented at SFU's annual FCAT (Faculty of Communication, Art, and Technology) Undergraduate Conference. 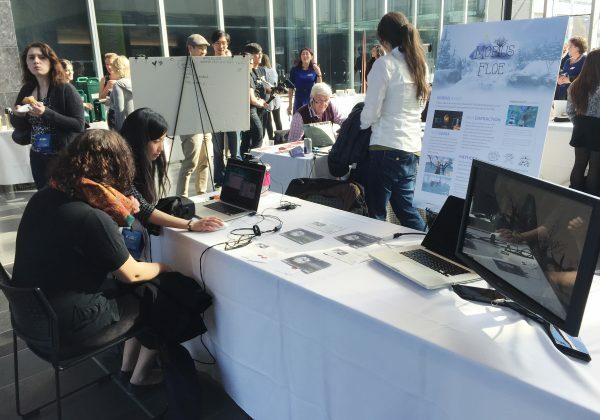 Information for the poster are all carefully selected and sectioned across a 3-column layout to ensure that the audience can easily pick up the most important points that we want to convey. 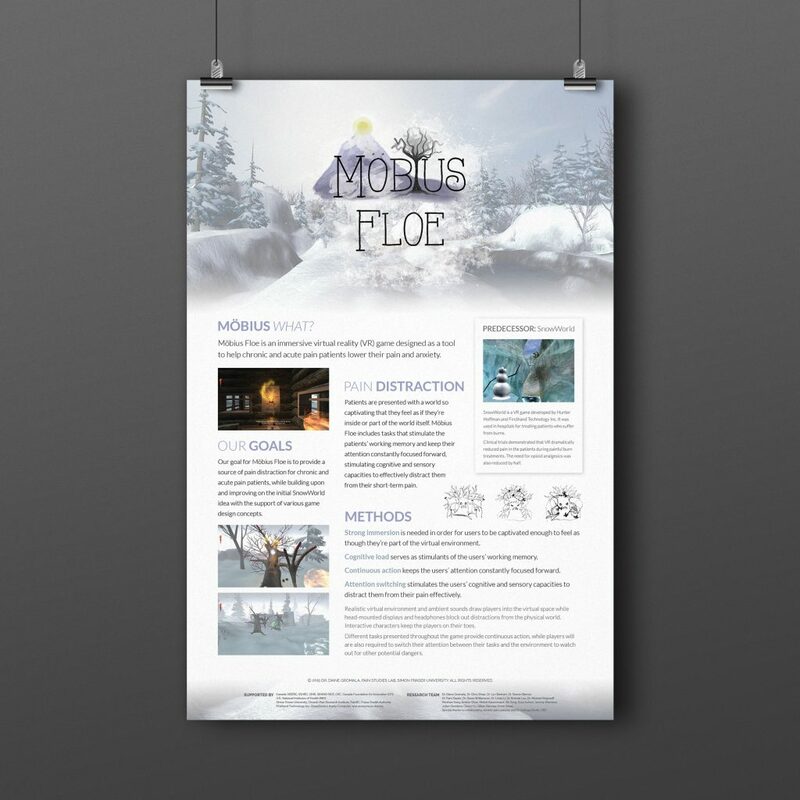 Asymmetrical balance is kept throughout the poster to keep the reader's eyes flowing smoothly from one section of information to another. 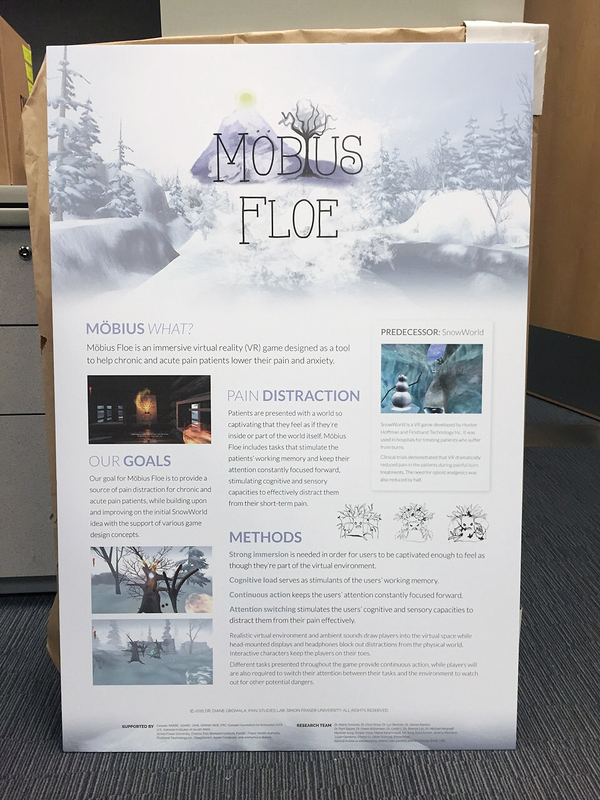 Printed on a 24"x36" foam core board. 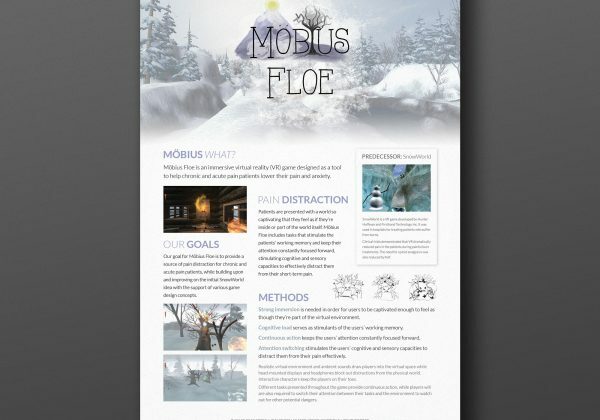 Disclaimer: I did not design the game logo.